Looking for affordability, more space and a great location in your next home? Look no further. 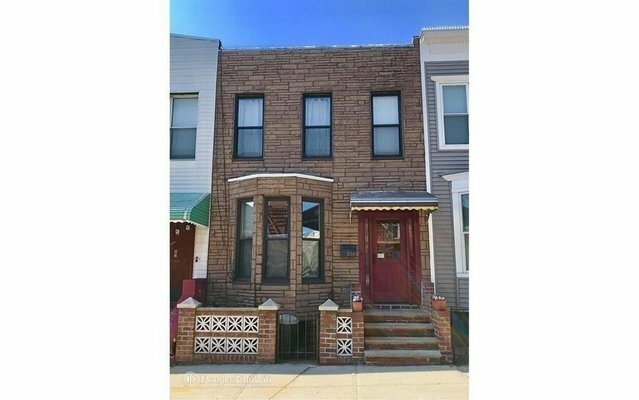 You will be perfectly situated on a classic Windsor Terrace block. You are just close enough to have it all. On the one hand, Park Slope, with everything it has to offer; on the other, the beauty of Frederick Law Olmstead's crowning jewel. Not to mention the rest of Brooklyn: The Brooklyn Academy of Music, Historic Greenwood Cemetery, Williamsburg are all less than 30 minutes away. Work in Manhattan? No problem. You are a short commute away. Yet you will find yourself in a tranquil oasis. This home has a warm, country feel that extends from top to bottom and has been lovingly maintained. With a user-friendly floorplan, you will easily be able to organize the space to suit your taste and your needs. The first floor has a long open living/dining area which flows cleanly into a large light filled eat-in kitchen that opens through full patio doors to the backyard. Organized for the person who loves to cook, the kitchen features a fully vented Thermador stove with plenty of storage and counter space. Full Patio doors open on to a lovely South facing, compact outdoor space where you can entertain, sit in the sun with coffee in the morning or have a quiet Summer dinner as the sun goes down. Behind the kitchen is another room that could be used as an office, den or an extra bedroom. Upstairs: more light, including two skylights. The layout here allows you to use the central room as a gathering space, or office, while on either side are the bedrooms. The master bedroom currently uses the adjacent room over the entryway as a giant walk-in closet, but it could also be a bedroom or office. As far as mechanicals are concerned, the owners have already done much of the work for you. There is a new gas furnace, a recently installed roof and updates all around. Here is a house ready for an inspection! What we have here is truly a plug and play home. The only thing missing is you!